Gosh, I really didn’t know where to start! I told him that I didn’t want to sit there and make a bunch of excuses, but it HAS been a rather busy summer! And yes, I did feel a bit overwhelmed and frustrated over things I could not control! Sometimes when that happens I start to shut down. Sometimes I start to give up. Not on everything, but on those things that feel the most difficult to me. Sometimes, even things that are the most important to me. It had been awhile since I had taken my buddy out for a walk, so I thought that would be the best place to start – to remind myself how special this friendship is. It was a Wednesday night, a little later than I had planned but I told myself that I would not give up! I would be patient and make the best of the time we could get together. All I can say is WOW! Zachary was in a great mood! We were out for about 1.5 hours, it was dark when we got back, and Zachary seemed very tired. I thought I had worn him out! However, when I got home I had this text on my phone! 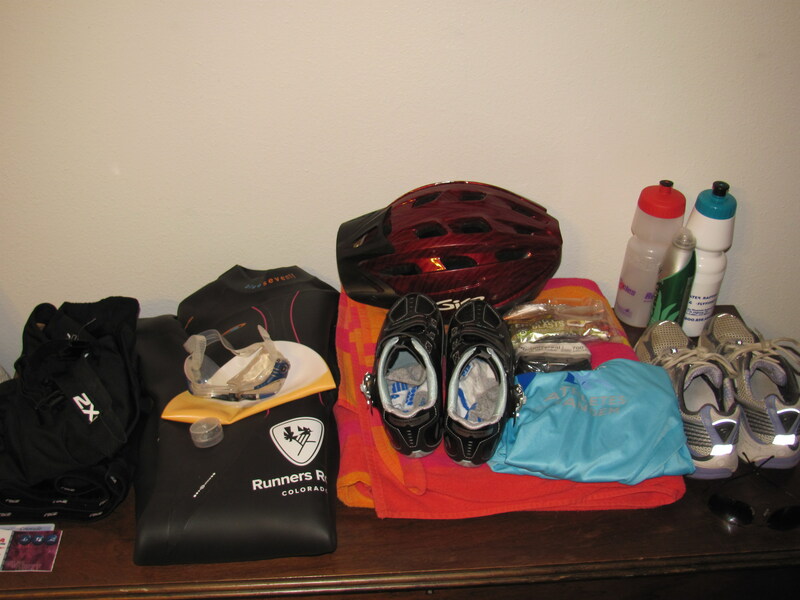 You know, Sandy and I had a discussion today about what others might see during races and what they don’t see. Often times when Zachary is at an event he might not always be smiling, or he might fall asleep so the benefits are not necessarily immediately obvious. What you and I might not see, are the after-effects of the fresh air and being outside! I know how it makes me feel, but imagine it for a person whose world is different from ours! Imagine how it must feel for someone who can’t just walk outside or take a run whenever he wants! There are benefits we probably can’t even fathom. Anyway, at that time I really needed the boost that this one little text gave me! Not necessarily validation, but more of a reminder of the positive. This made me so happy! 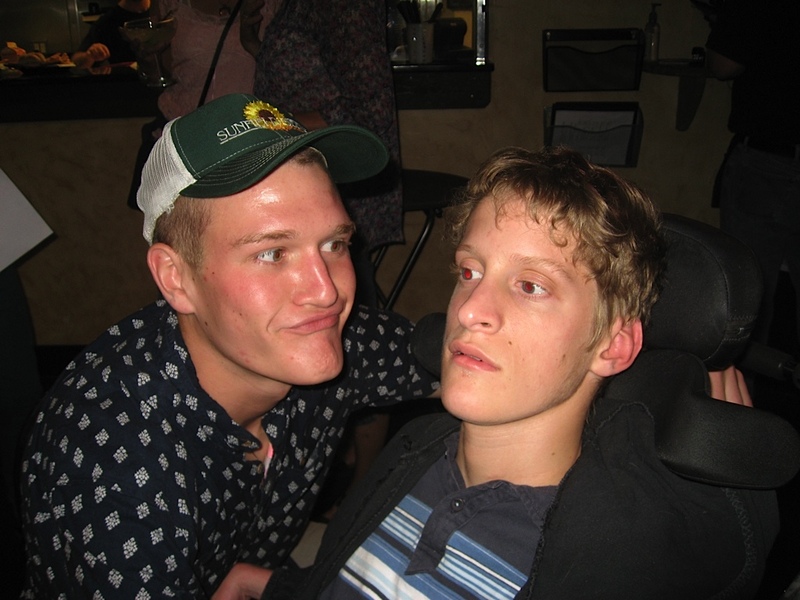 The following week I got to go to Zachary’s SECOND 21st birthday party! 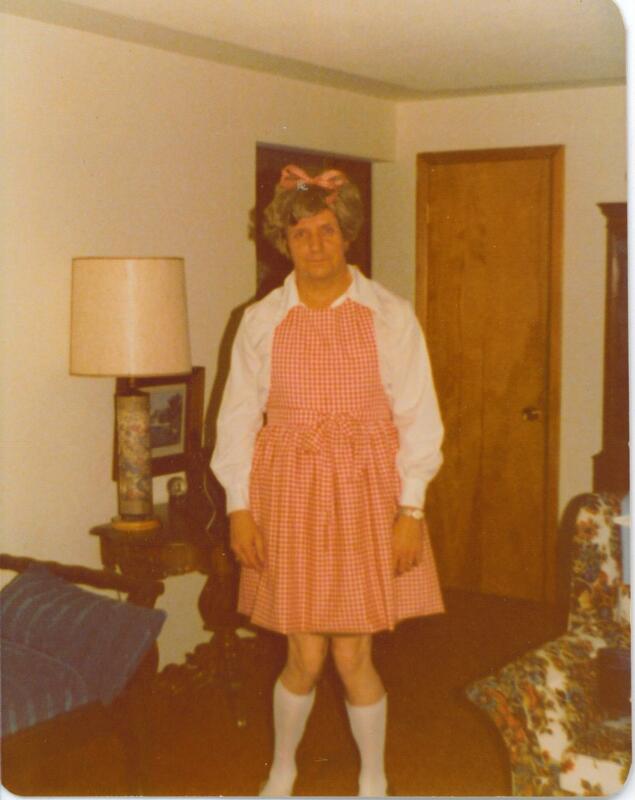 (we won’t talk about the first ~ahem~ “Hooters” party, although I’ve seen the pictures and he was in heaven!) 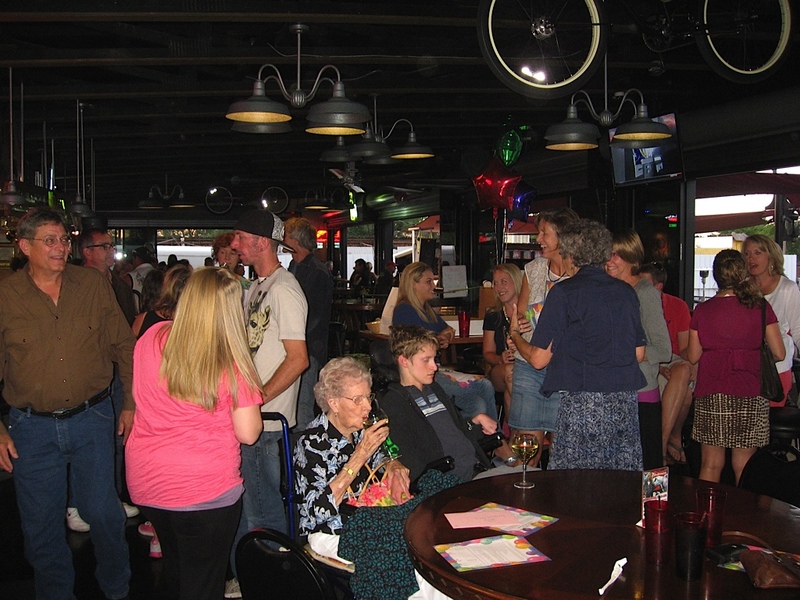 There were so many wonderful people there – I loved meeting Zachary’s family and friends – such wonderful people! 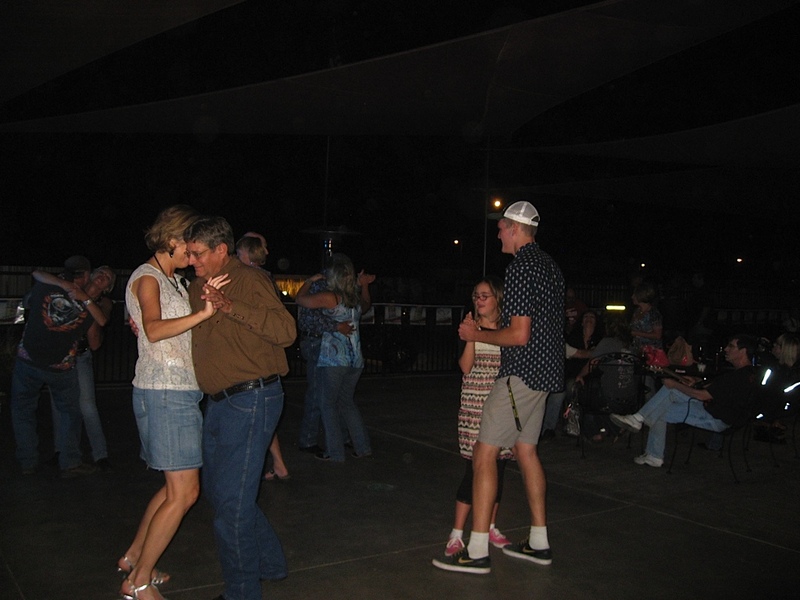 Then there was getting out on the dance floor with Zachary surrounded by a bunch of ladies dancing with him! It really was a magical night! One that came from such loving friends and family! Zachary’s Aunt Kathleen took these great photos! Thanks, Kathleen! With Zachary and Stephanie on the dance floor! Awesome. I have so much more to write about, but I think it’s past my bedtime! I really want to tell you that I have not given up! I have not given up on making time for people and activities that mean so much to me, and I have not given up on taking care of myself! Zachary and I rode in the RAM Classic 35-mile ride today, and I’m beat! So, I guess you will have to wait for my next post to see the photos and hear how our day went… and I promise it won’t be two months before I fill you in on the details! Cheers, friends! 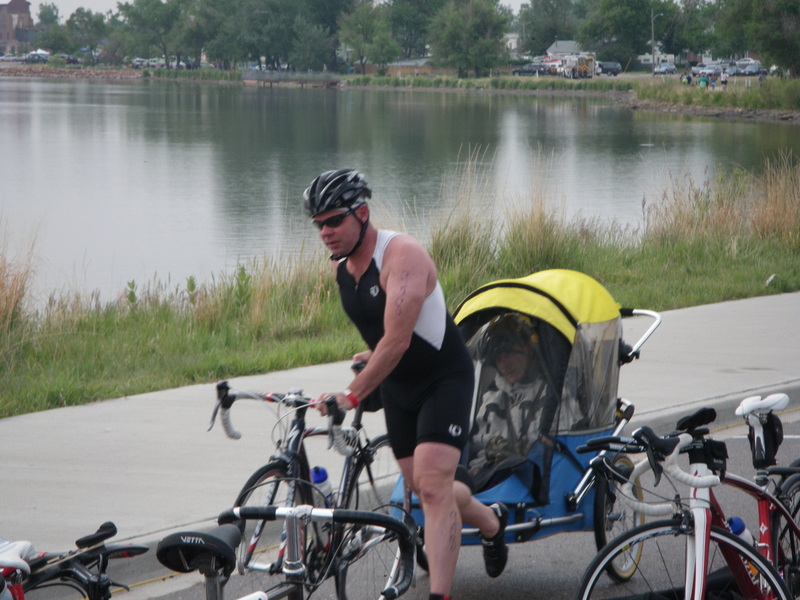 So, while waiting for Zachary to get discharged from the hospital, I signed up to do the bike potion of the Loveland Lake to Lake Olympic tri. 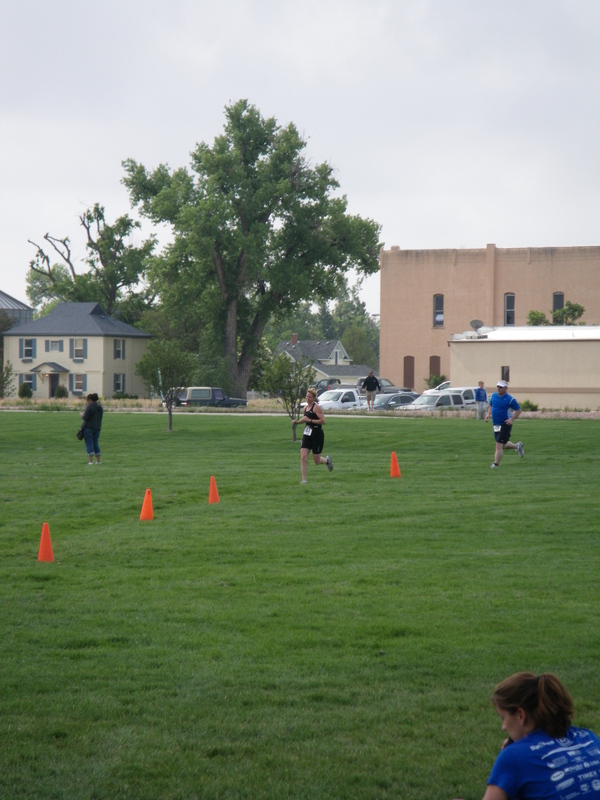 It was an Athletes in Tandem relay team, and I was so excited for the opportunity! I love cycling! 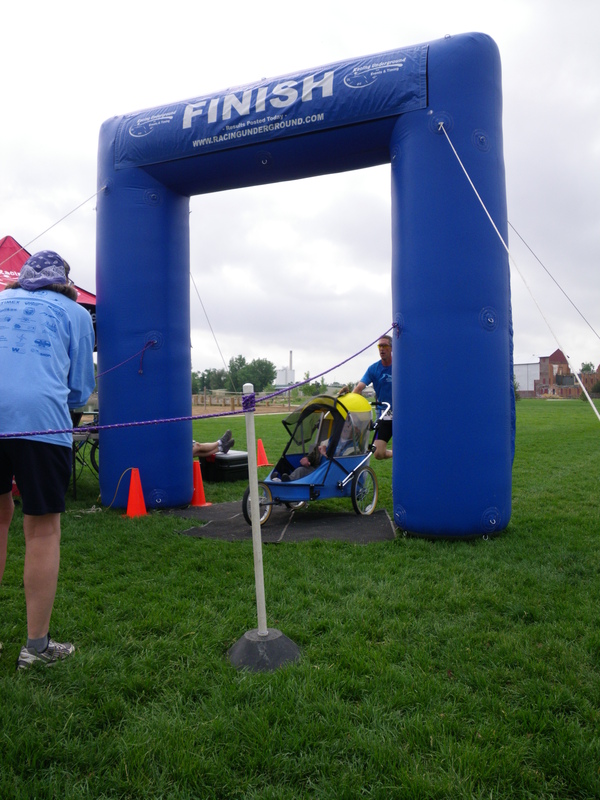 The planned race route was 30 miles that went from Loveland towards Fort Collins, up the hills on the south side of Horsetooth Reservoir, down and back to Loveland… pulling a little guy named Logan (so cute!) in a bike trailer! However, the people in this area had been evacuated and the roads were closed, so I had no idea what would transpire when race day came. I didn’t have long to train, so I had to make every ride count! Coach Wendy told me to ride hills. Lots of them! 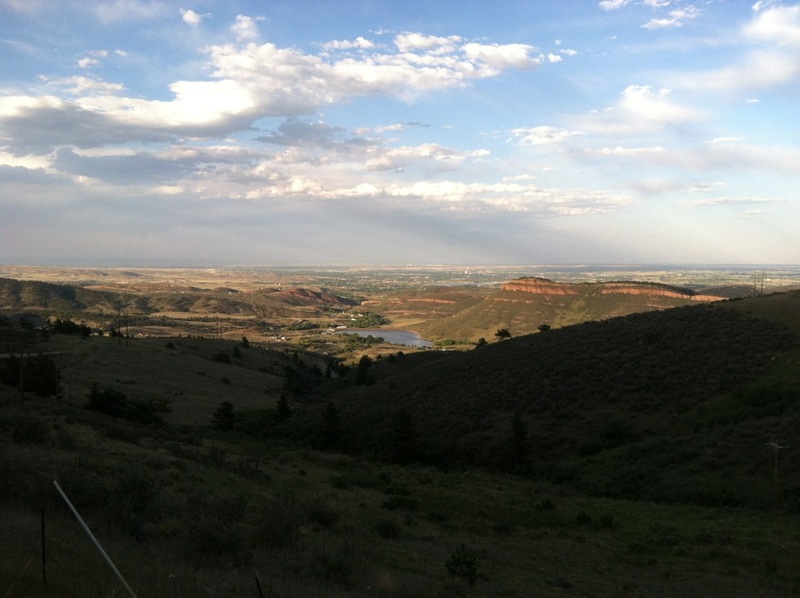 Wednesday I drove to Loveland and rode 28 miles including a really steep 4-mile hill called Pole Hill (a.k.a. the Rattlesnake). The uphill was tough, but the downhill was fun! And a little scary (yes, I used my brakes)! Saturday I rode 30 miles that took me along a good portion of the race course, only with more hills. Some of the area residents had been allowed to return to their homes, and the roads were open to them only. It was so eerie to see the lack of cars, the thank you signs hung up for the firefighters and the military police parked at locations along the way. I thought I would get scolded, but they didn’t seem too concerned about a cyclist who was clearly crazy enough to be out in the mild, albeit present haze. The smoke burned my throat and sinuses again. Hmm… the County issued health advisories for outdoor activity but I ignored them so I guess I can’t really complain! 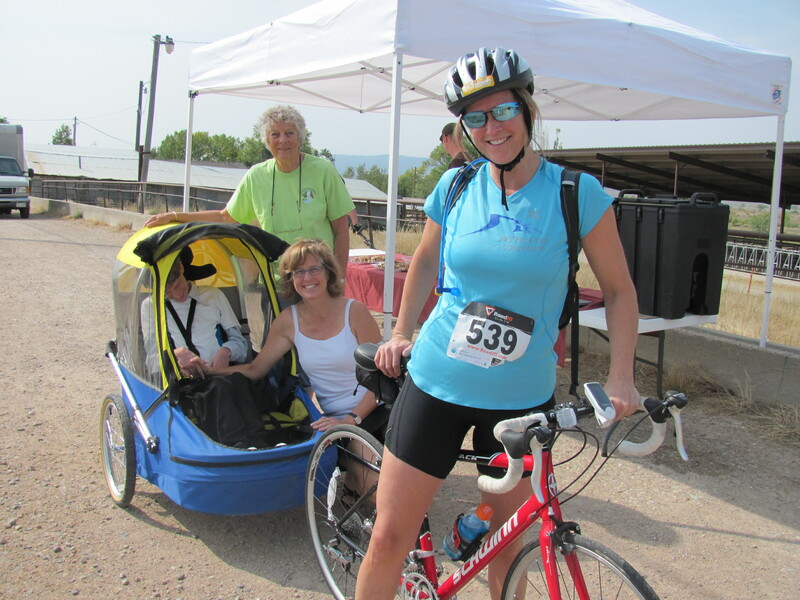 Besides, I loved that bike ride! 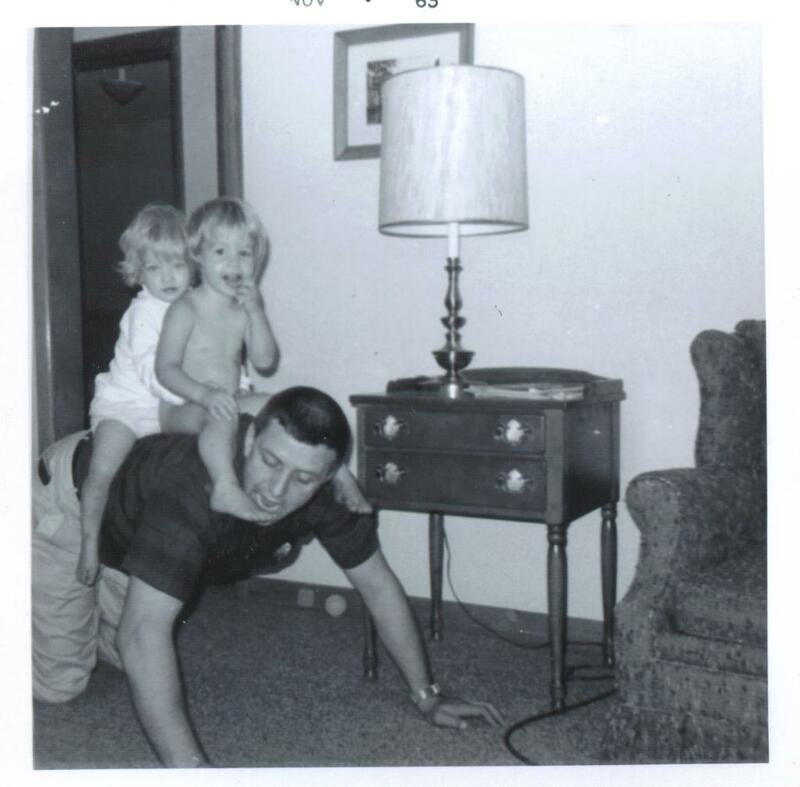 Sunday I was in Nebraska to wish my dad happy Father’s Day. I had always wanted to cycle Western Nebraska, so this time I did! 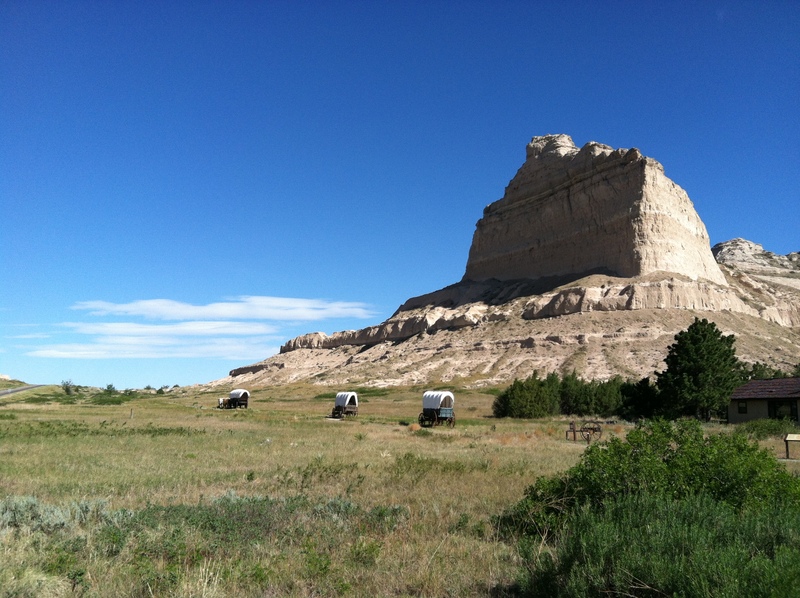 I went around the Scottsbluff National Monument and the Wildcat Hills – 33 miles! Whew – and that was the first day of the current hot weather streak! The temperature reached over 100 degrees and the hot wind kept blowing up my nose! 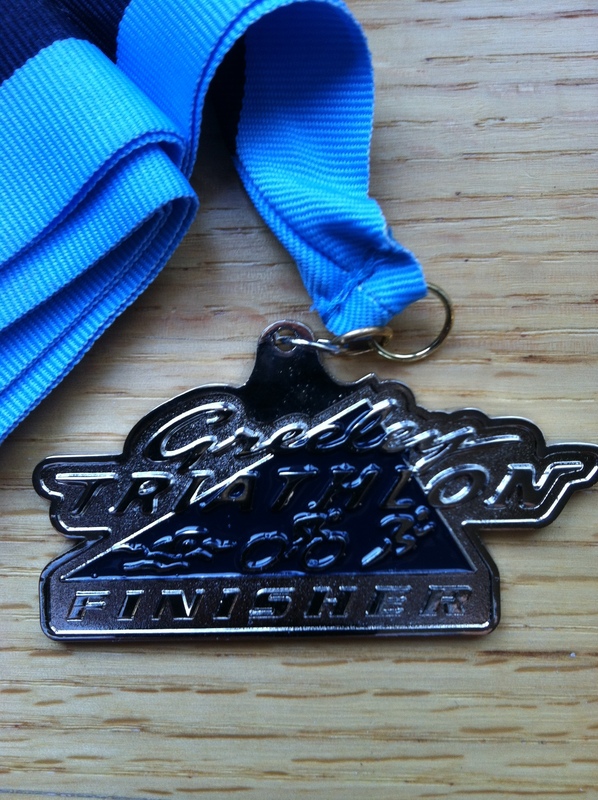 The goal was to fatigue my legs (not my sinuses) – mission accomplished! I was supposed to get one more easy bike ride in after this, but my mom injured her leg and I hung out with her instead – it was time well spent! I was glad I was there with her. 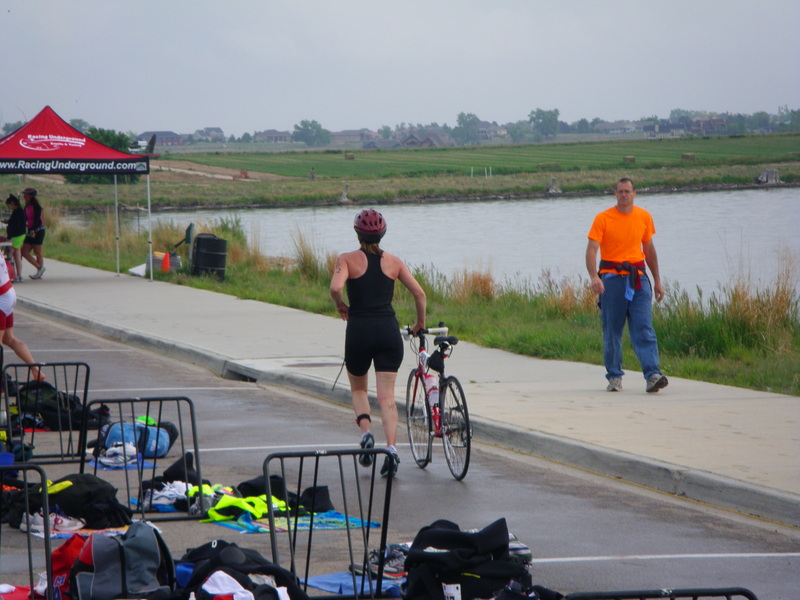 My last workout before the race was the Horsetooth Triathlon swim and run training. 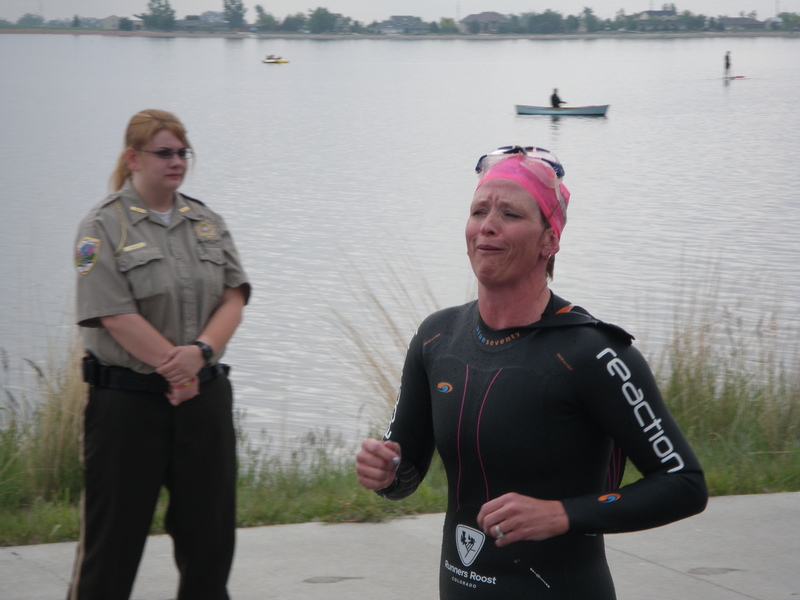 I did the short course, which is a 750 meter swim followed by a 5k run – good workout! Saturday’s race came in a flash! I was on a relay team with Steve, and there was one other relay team and two individual racers, all racing for Athletes in Tandem! These people amaze me and I felt so privileged to be part of the team! Everyone was so helpful and the families were great! 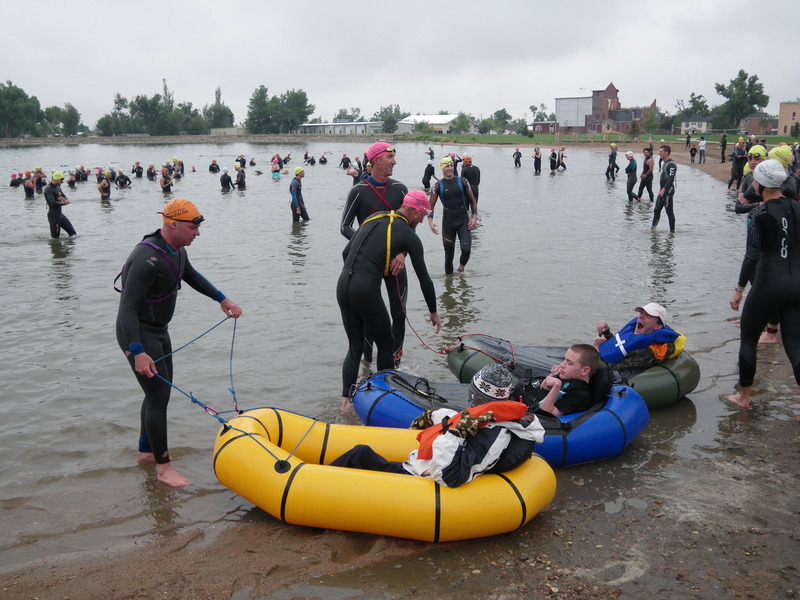 My partner Steve was awesome – he helped me in the transition area and let me join him and Logan in the last stretch to the finish line! 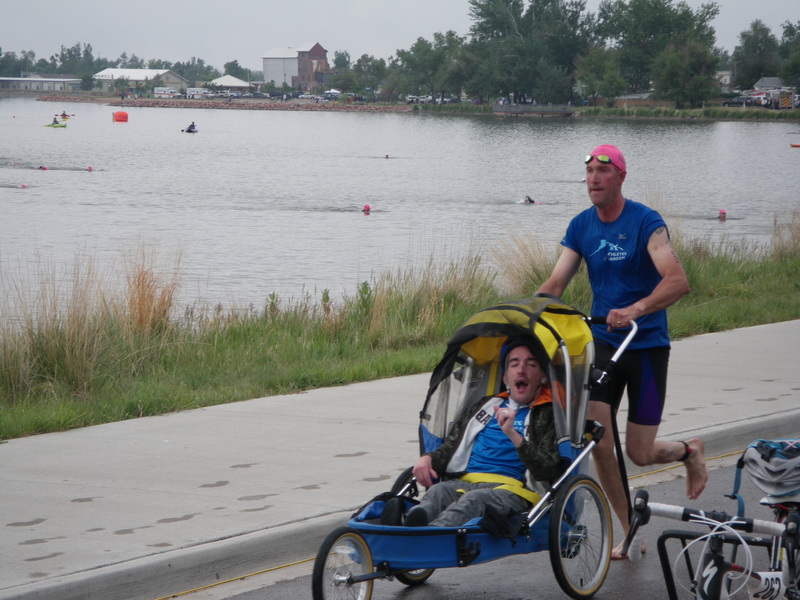 Athletes in Tandem at the Loveland Lake to Lake Triathlon! As I took off on the bike ride, every time I went over a speed bump or swerved a little, I could hear Logan yell, “Yay! Yay! Yay!” His parents thought he would fall asleep but he was awake every time I checked – which I didn’t have to do often because I could hear him having a good time back there. 🙂 Yes, I just used a smiley-face in my blog. Because it’s my blog and because I’m smiling! 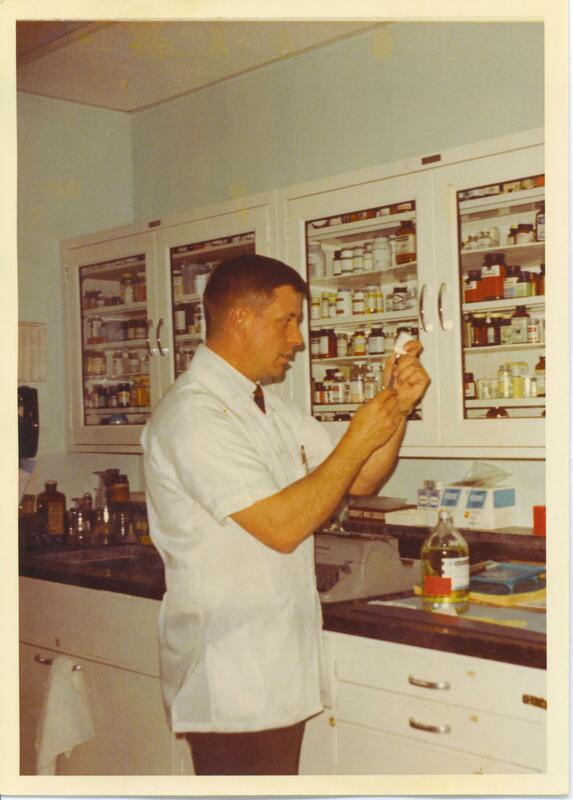 Seriously – this is what inspires me! I can’t wait to have Zachary join us for some events, but all in good time! Speaking of Zachary, HE’S HOME from the hospital! YAY! 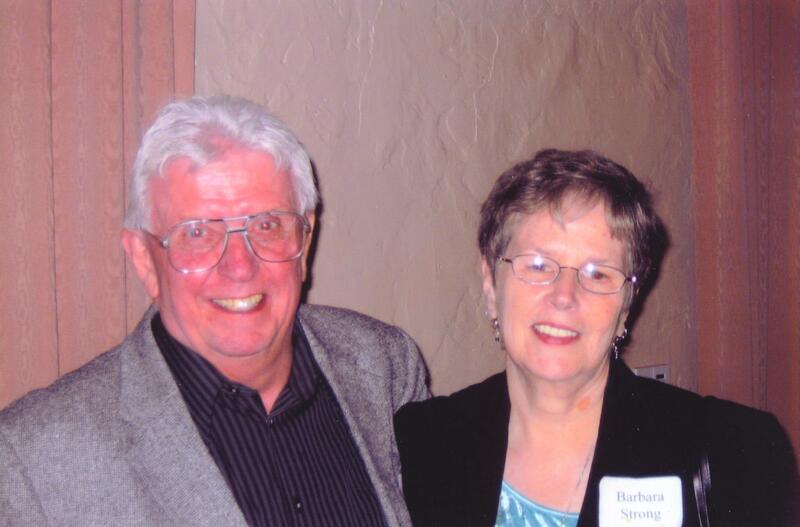 His recovery will take a while, and we are looking for some caring individuals to help promote his emotional, physical and spiritual well-being as he heals. 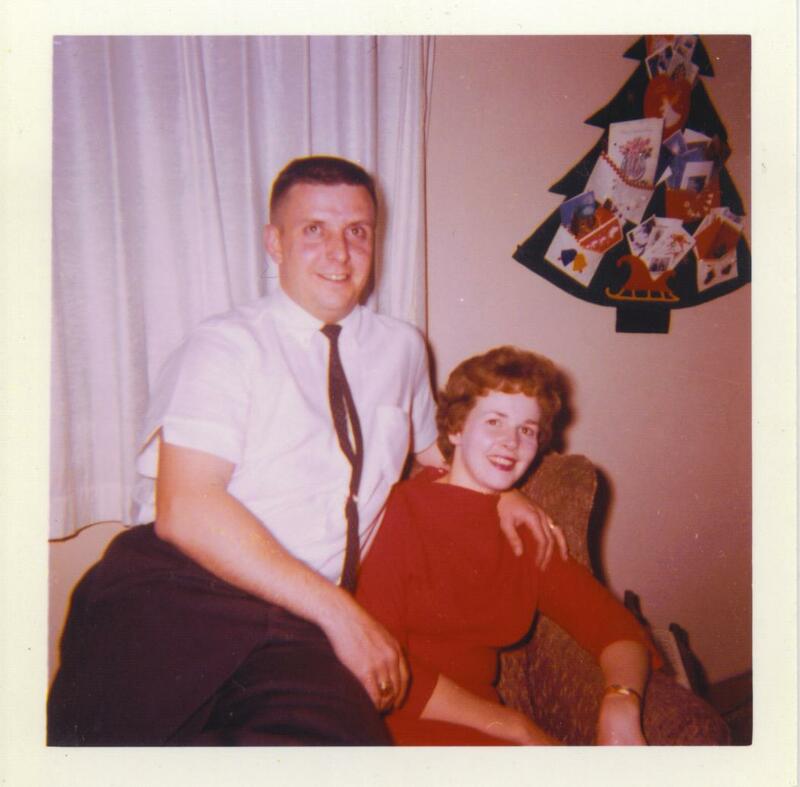 Sandy’s friend, Marsha is working on a calendar for friends, family and caring people to sign up to spend 15-45 minutes with him at a time. If you are interested, please contact me. More details about how to connect with Zachary will follow soon! Can’t wait to see you, buddy! He is not ready to go on runs, but he can go for short walks – I’ll be happy to do that! Sandy has also suggested many other ways we can connect with him and, I’m not gonna lie, they all sound pretty fun! Think water. Think pantomime. Think outside. Think outside the box… Then think about my friend Zachary and seeing his awesome smile and knowing you have brought some joy to his day! P.S. It rained this afternoon! Hi friends. Sorry to have left you hanging! Like I said, when it rains, it pours! There has been so much happening in the past couple of weeks, I’m going to try to catch up in the next couple of posts. Why? Because Zachary is coming home from the hospital soon! I want to move on, to start fresh and help him with his recovery! It’s interesting how certain events in our lives truly leave an impression in our minds. The sights, the sounds, sometimes the smells all linked to the chain of events. Like a photo, only more. Certainly the emotions. Click. Saturday after Zachary’s surgery I was at my son’s baseball practice when we noticed a little smoke coming from the foothills. That image is still pretty clear in my head. It looked like just a little puff. We contemplated calling 911 but figured someone had already done so. By the end of practice, the smoke cloud had grown exponentially. Everyone seemed to be looking towards the mountains. There was a man on his motorcycle stopped in the middle of the road using his phone… probably calling 911. Click. After practice I went to register for the Greeley triathlon, which was the next day. Due to the previous week’s events I just I didn’t know what sort of emotional state I would be in and I hadn’t trained much… I had almost talked myself out of it, but once I heard Zachary had made it through his surgery I had a renewed motivation! I would do it – for him! I repeatedly told myself that practice will make me stronger (especially while swimming)! From Greeley I watched the smoke cloud grow. By that evening it was so thick it covered the sun, making it appear that the sky was on fire. Click. When it doesn’t rain, we have fire. Sunday morning at 3:00 A.M. – loud, loud, crazy loud wind woke me up. I looked to the west and could see fire on a not-so-distant ridge. 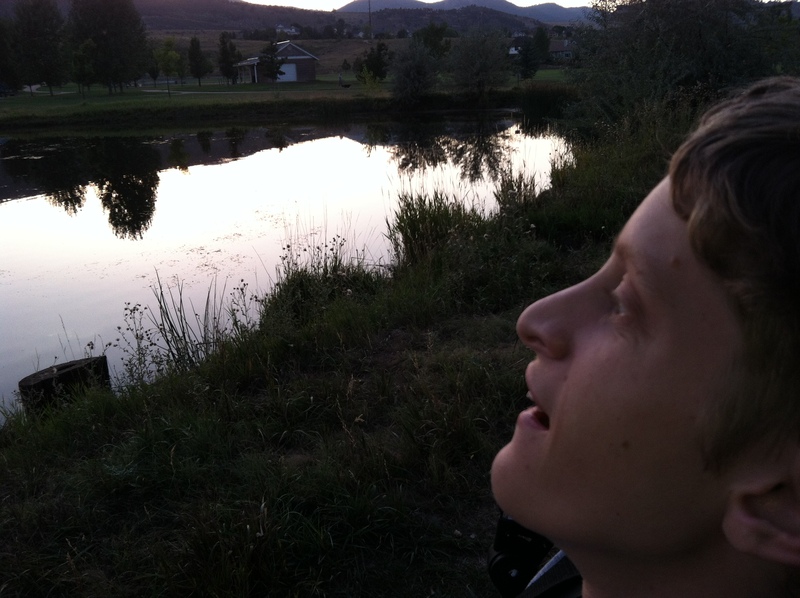 Andrew was awake too, and called his brother, who lives in the foothills. He had been told to evacuate. Guess who else’s home is in the foothills – Zachary’s family’s home! Oh man. It’s 3:30 A.M. and I’m worried about my friends and the fire, I’m worried about getting sleep for the race and worried about everything! Click. 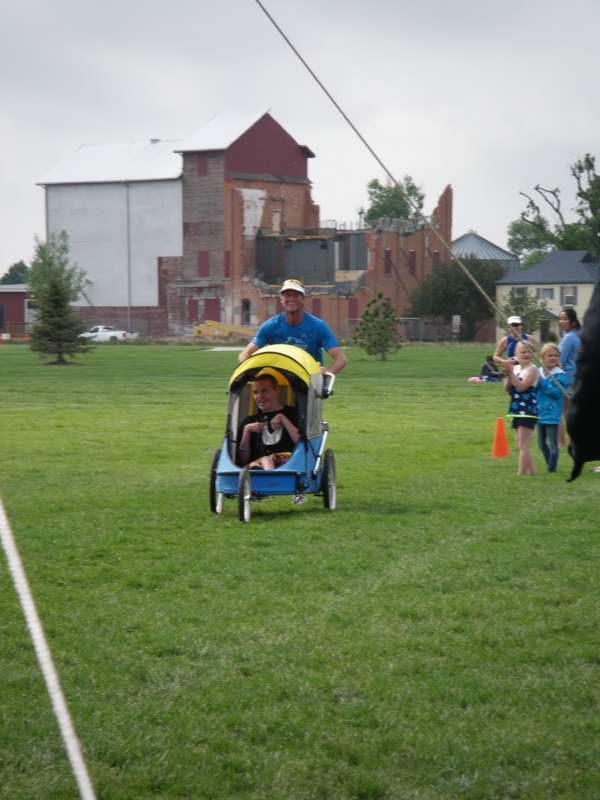 Well, I managed to get a couple hours of sleep before I dragged myself out of bed and drove to Greeley for the race. The smoke was so thick at my house it felt like it was burning my sinuses! On the way I called Dennis to confirm that Zachary’s family was okay. They were at the hospital with Zachary when they received their evacuation notice. How scary for them! I’m so grateful that they were out of harm’s way! Mike had to drive back from the hospital to evacuate their animals while Sandy stayed with Zachary. I can’t even fathom the stress. Despite getting little sleep, I focused on my friend and had a pretty decent race! 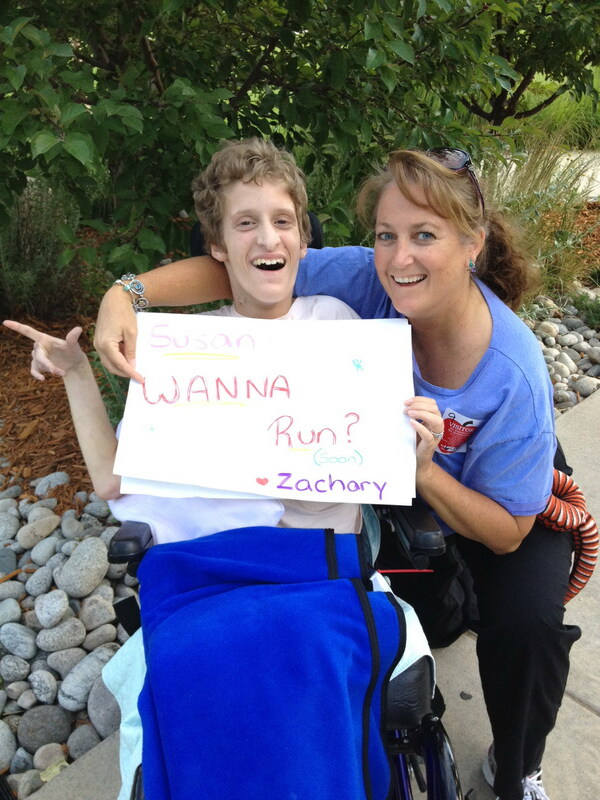 I earned another finisher’s metal for Zachary and sent a photo of it to Sandy along with a message for him. I hope it made him smile! On the way home I stopped by the evacuation center just in case Mike was there and I could offer my assistance. I didn’t find him, but I witnessed so many locals there to help. People dropping off supplies, people offering to help with the animals, and the Red Cross folks there to handle it all. Click. The next few days were more of a blur to me… Wednesday’s swim/run event was canceled due to the fire, smoke and more evacuations in the area. The smoke was terrible – it still is! But that’s a minor detail compared to all of the people whose lives have been directly impacted. Friends and coworkers were evacuated. Some lost their homes. I won’t give you all of the details on the fire, but you can check it out at http://www.inciweb.org/incident/2904/ . At the time of publishing this post it’s over 83,000 acres and 45 percent containment. So sad. That Friday, through my work I was able to I volunteer at the fire information hotline. All I can say is WOW. So many people wondering about their homes, a young girl looking for her horse, someone who only knew the lot number for her cabin. It really brought perspective to the magnitude of the situation and in my three-hour shift I was able to help eleven people. There was a lot of information to learn, but luckily there were several of us answering phones. As I studied the details written on white boards covering nearly every wall in the room and answered questions, I couldn’t stop thinking about my friends. Overwhelming! Click. I had been checking my email frequently for updates. To my surprise, Kathleen sent me a picture that really cheered me up! This made me so happy! I know I’m probably missing important details (besides the “click” moments) but the most important thing is that the family’s home survived and Zachary is out of the ICU and will be coming home soon! It hasn’t rained in a long time. 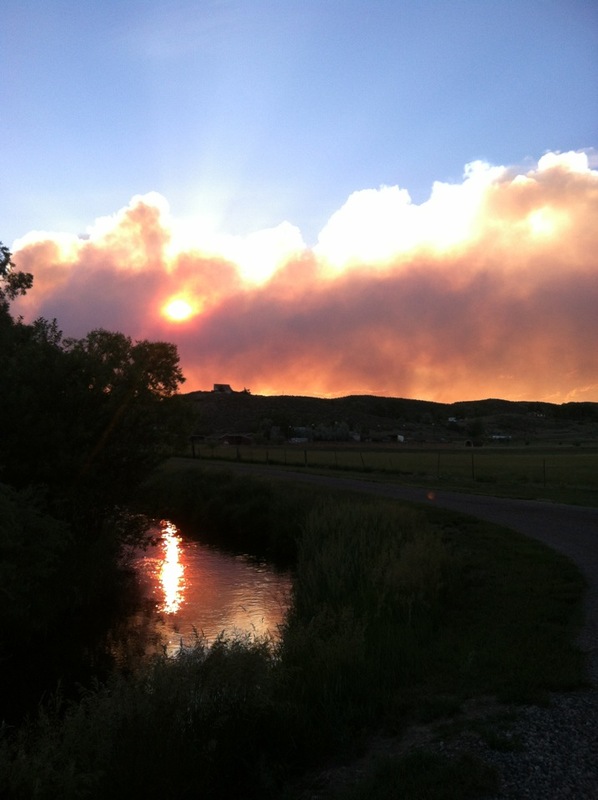 And there are even more fires now in Colorado. But we can focus on the important things, the people, and show our love and support in whatever ways make sense. Oh My. 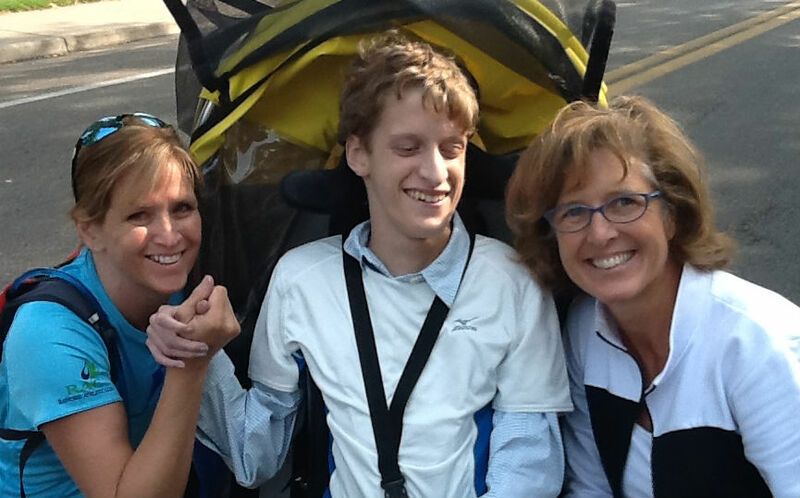 For those of you who don’t know Zachary or his family… well, I’ve got a lot of updating to do! 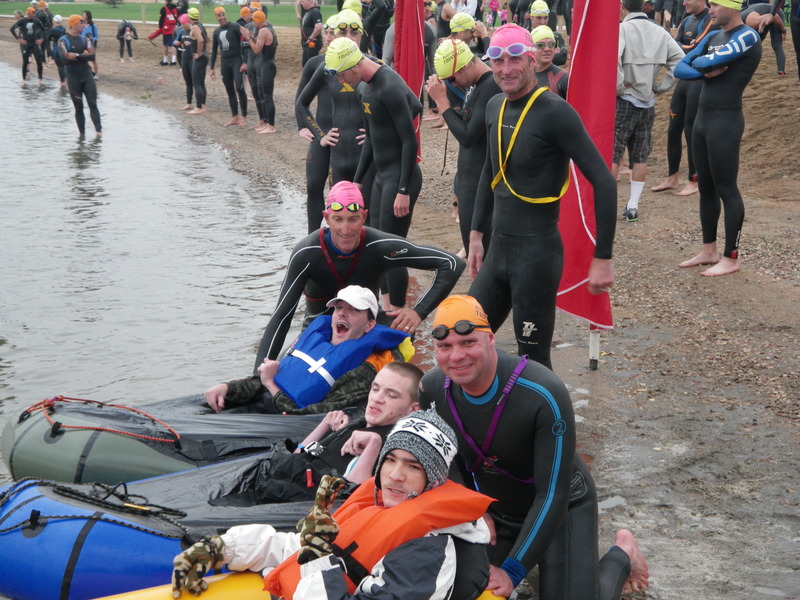 So, last time I wrote, Zachary couldn’t join me for the triathlon because he had a fever. Actually, I did write a little after that but I didn’t post it in my blog out of respect for Zachary and the family’s privacy. Feeling helpless and anxious, I finally asked if it was okay to write about what’s been happening, and I’m happy to say that Sandy was OK with it. In fact, she seemed more than OK with it. Thanks Sandy. That was sometime last week and I’m finally settling down to face my thoughts and put them into words. I’m not even sure I’ll remember everything exactly how it happened or how it was relayed to me, but I do remember my feelings. Fear. Worry. Anxiety. Stress. And that’s just me – just someone who cares about these people I’ve come to know a little bit and their son, my walking (and sometimes running) partner, Zachary. My friend. I can’t even imagine the intensity of feelings that everyone else has experienced! Do you ever feel like you’re on the outside of a scary situation just waiting to help, just wanting to do something, anything to help those in need? But you wait. And you’re relieved to receive updates. And you pray that everything will be alright. When I saw Zachary after the Pelican Fest, he seemed uncomfortable but I got him to smile some so I thought he had a little virus that he soon would get over. Wrong. After a few days Sandy called to let me know he had gone to the ER. Next thing I knew he had gone to Children’s Hospital. 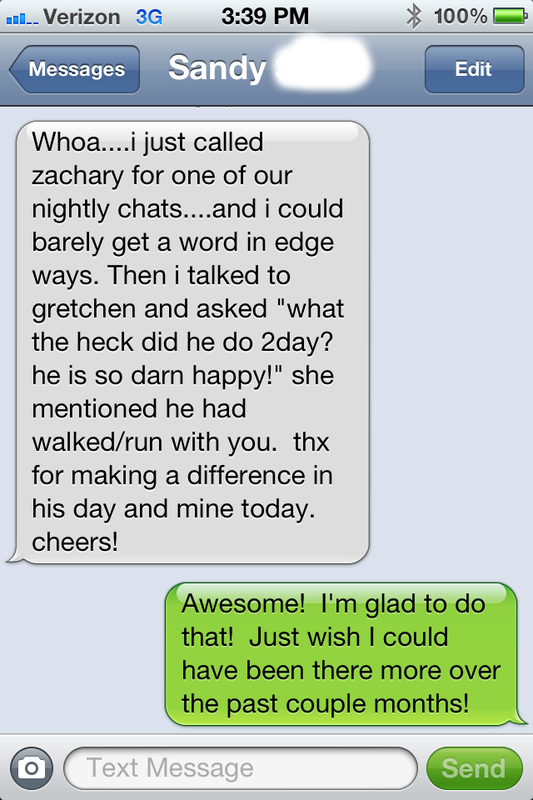 Then Zachary’s aunt Kathleen called to update me – I’m so thankful! It was comforting to hear a real voice letting me know what was going on, even if the news was scary. And it was. They had found a small mass in Zachary’s heart and were scheduling him for open heart surgery. Doctors thought the source of the fever was the mass. 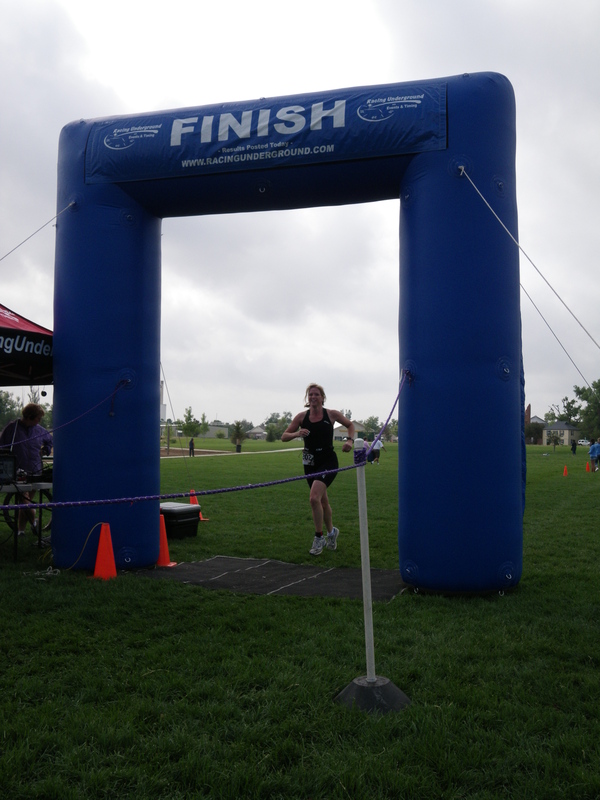 That night I had my first Horsetooth Tri Series swim and run event. I really need to work on swimming, because I want to be comfortable and strong enough to pull Zachary in the raft. I had just gotten over a 3-day migraine, at least the pain part of it, but I was exhausted and worried about my friend. I hoped that the endorphins from the exercise would bring me out of my funk, but I was just too tired. I cried when it was all over with. Sometimes crying is good. As I am writing this, Zachary is going into open heart surgery. He has had a fever since the day of Pelican Fest, about two weeks ago. 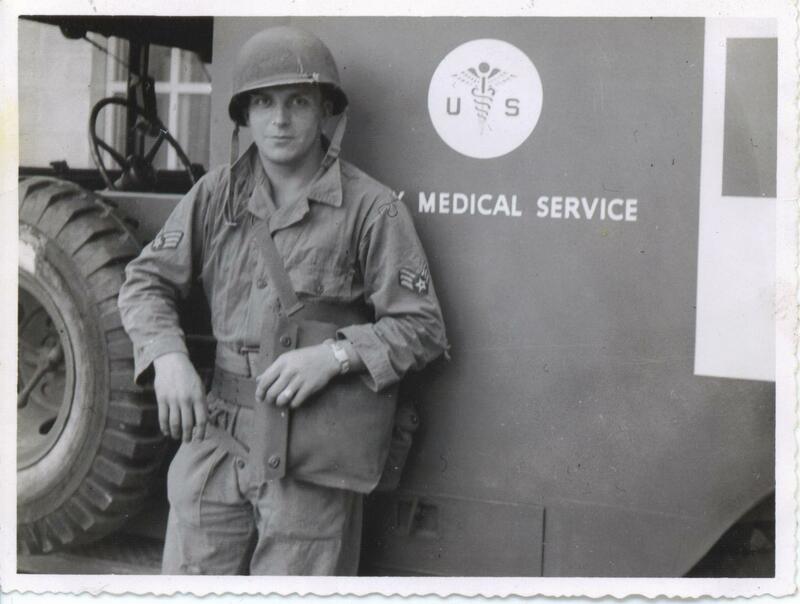 The doctors found a 1-3 cm mass in his left ventricle. I don’t really know a whole lot more right now but am thankful that Kathleen included me on the email update list. I can’t stop checking it. I’m having trouble concentrating at work, so I’m taking my lunch break to deal with my feelings. I just looked though some of my videos and photos of Zachary. I feel so helpless – all I can do is hope & pray that the surgery is successful. 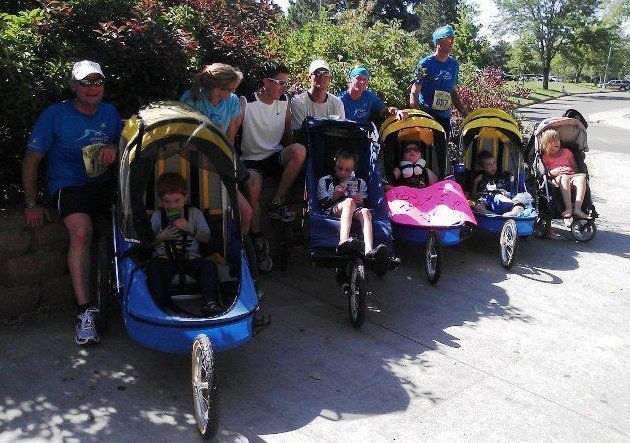 That Zachary will enjoy many more years of life and Athletes in Tandem races. That his family will be blessed with more time together. That we will all get to see his infectious smile again. 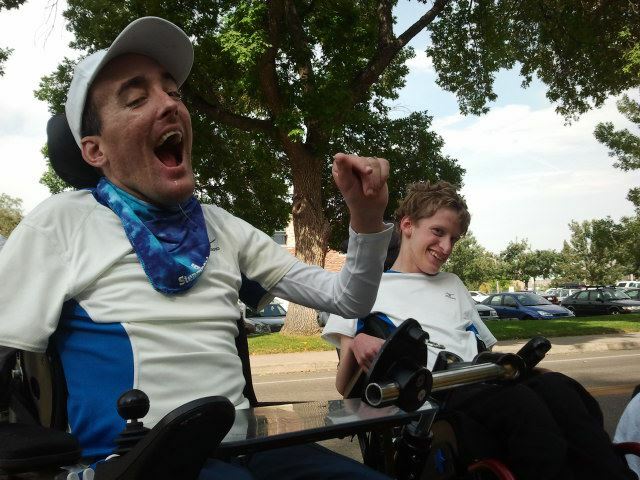 That I’ll get to do that triathlon with my partner someday and hear his happy voice – his “words” to tell me how much he is enjoying himself. In my mind I’ve always been that sort of awkward person, the one who has good intentions but maybe doesn’t say the right thing at the right time, or whose words come out differently than intended. I find it easier to type, read my words, say, “Oh – that’s not what I meant!” and then I get to try again. Are those the right things to say? I don’t know. But they came from my heart and I truly wish I had the opportunity to speak them. I don’t know if I’ll post this blog or not. 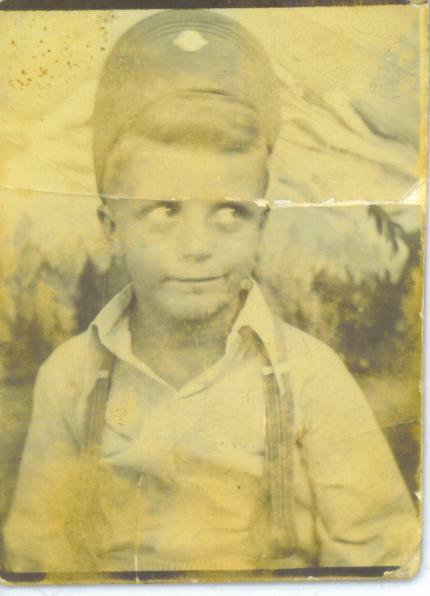 I’m trying to respect the privacy of the family and not intrude, as I am really just a newcomer. For now, I’ll continue praying and sending my unwritten thoughts of love and support for my friend and his family. Are you crying? Because I am. But Zachary made it through the surgery like the champ that he is! 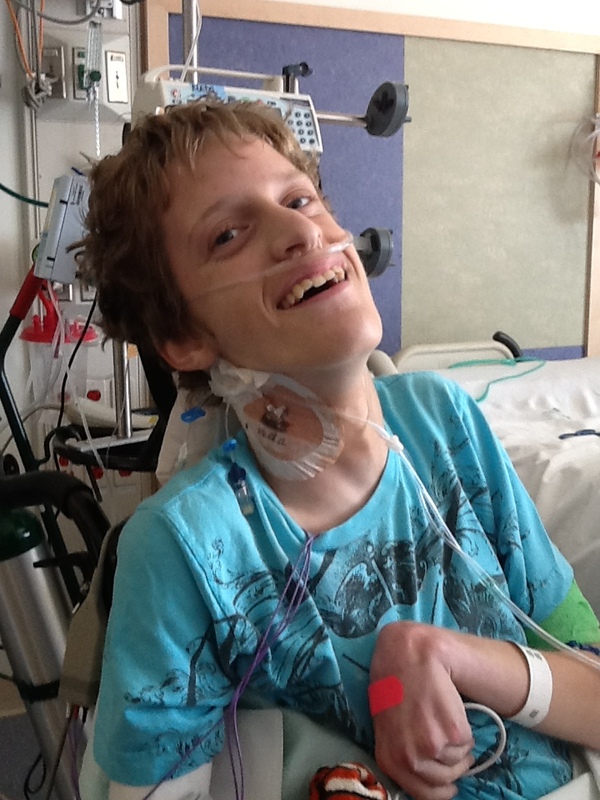 Only a few days after surgery, Zachary enjoyed a root beer float in ICU! I would continue telling this story tonight, but it’s late and I’m very tired. June has been an incredibly eventful month. Zachary is still recovering, so send him all of your thoughts of love, hugs, prayers and wishes for a speedy recovery! Well, almost ready to go! It feels like I’ve been trying to make sure I have everything in order for the past two weeks, but this it it! I just wanted to check in with y’all and let you know that we are still on for tomrrow’s Pelican Fest! Is that it? I hope so! 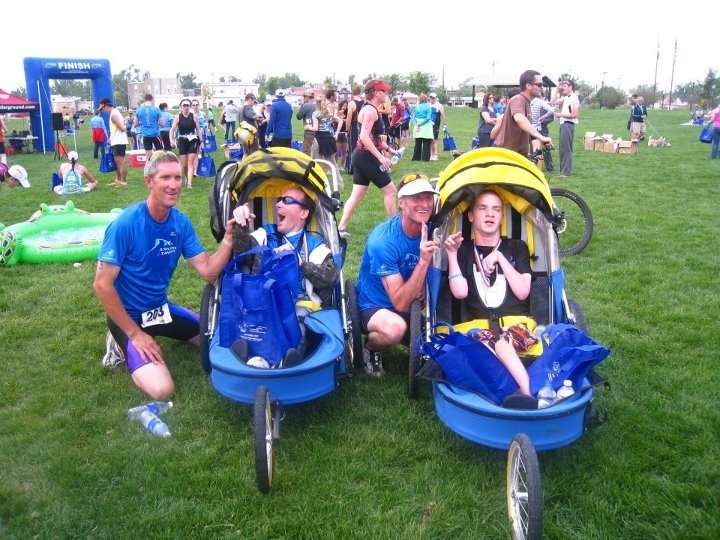 Sandy and Mike will be bringing Zachary and his jogger, and Dennis will be bringing the bike trailer! Andrew will be there for general support and to take pictures! 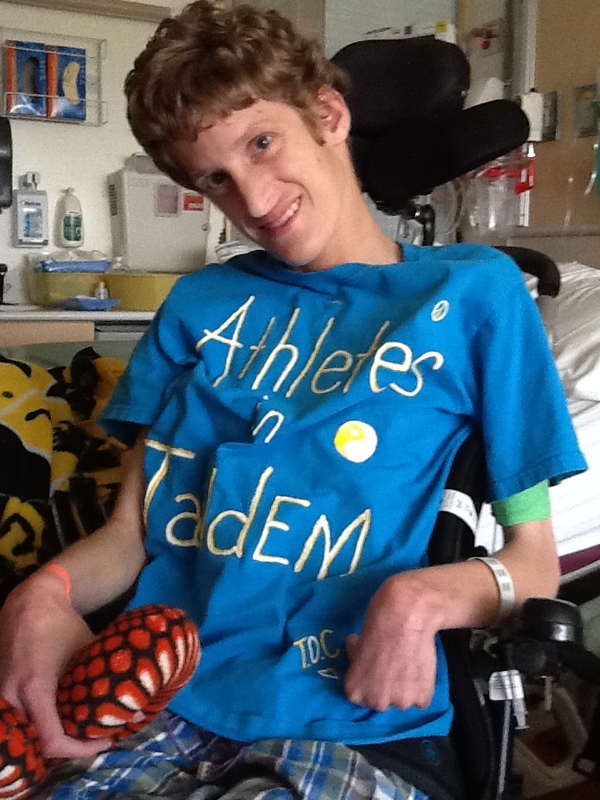 Zachary would love it if you came & cheered him on!